Anxiety has a bad reputation in a society that champions strength, outgoingness, and resolute decision-makers. But what we don’t easily see from anxiety are all the ways in which it is helpful. Anxiety is a mechanism of the body that helps us stay in-tune with potential dangers that could affect our lives, jobs, relationships, and health. When those anxiety-producing Spidey senses get out of whack—say, from an intensely traumatic event or many small events—those heart-pounding, mind-racing moments can infiltrate life at inappropriate times. It can feel like being the one person who’s scared to death on an airplane of hundreds of passengers. If you were really in danger, you would see a lot more people around you with the same reaction, but since you’re the only one gripping the armrests with whitened knuckles you feel a sense of loneliness and isolation on top of the anxiety. For anxiety sufferers, moments like that can pop up at just about any time of the day or night, triggered by sensations much more benign than air travel. The relationship between cannabis and anxiety is a complex one. Just as anxiety presents in several different forms, potentially brought on by any number of traumatic events in life, the treatment can vary as much as the diagnosis. And there is no definitive cure but treatment is possible. Don’t think anxiety is enough of a disorder to require medication by cannabis oil? Stress kills—no hyperbole! Anxiety-related disorders affect a huge segment of the American public and many different drugs have been created to meet the demand, from selective serotonin reuptake inhibitors (SSRIs) like Prozac and Zoloft to tranquilizers (benzodiazepines like Valium and Xanax being the favorite despite being known to be addictive). When it comes to using cannabis oil for anxiety, the patient can regulate their responses to stressors without impacting their relationships and work. Just a single puff of cannabis can provide unrivaled relief from anxiety-related symptoms but the nature of anxiety makes it necessary for sufferers to treat themselves throughout the day for maximum results. With cannabis oil, they can medicate anywhere, in a discrete manner and with long-lasting effects. One thing that has traditionally held people back from treating anxiety with cannabis is the myth that it made anxiety worse through the manifestation of paranoia. 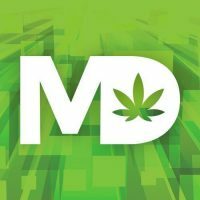 The truth is, while some cannabis users feel a sense of heightened paranoia and exacerbated anxiety when they medicate with the plant, it is a side-effect that can be controlled by choosing strains whose unique set of cannabinoids do not create the effect. What we understand now is that paranoia can be a common reaction to strains with higher THC content. The human body contains receptor sites all over that are filled by marijuana’s cannabinoids (THC, CBD, etc. ), and by endocannabinoids, which are naturally produced by the body. The two compounds actually act a lot alike and shortages of these endocannabinoids occur in brains that have been exposed to excessive trauma. THC can have a relaxing effect in some people with endocannabinoid deficiency but too much does something totally different. THC over-excites the neural pathways and leads to added anxiety and paranoia, especially in those who are new to cannabis. What a way to start off! The exact mechanics are still a mystery but the endocannabinoid system is giving researchers all the clues to uncover it. It would stand to reason that cannabinoids from cannabis replenish the human body’s endocannabinoid system, resulting in a balancing effect that quells anxiety, physically, psychologically and emotionally. No two strains will work on the same person the same way, which is why choosing the perfect strain or consumption method is a trial-and-error process. The great news is that that are many strains out there that contain little to no THC. While these strains weren’t originally given much credence because they were weak in the psychoactive ingredient, they are now being championed by all kinds of patients because of their high CBD content. These low-THC, high-CBD strains are changing the game for anxiety sufferers, but that doesn’t take strains that are rich in THC off the table. To reduce even the possibility of experiencing paranoia while using a cannabis oil, make sure that you medicate while in a comfortable place, away from people or places that are unpredictable and could trigger anxious thoughts. Practicing yoga or meditation, reading or writing are all stress-reducing activities that can be enhanced with the use of cannabis oil for anxiety. Treating anxiety comes down to the type of anxiety the patient experiences—generalized anxiety, post-traumatic stress disorder (PTSD), obsessive-compulsive disorder (OCD). That’s why the first step to picking a good strain to combat your specific type of anxiety and to recognize your tolerance and sensitivity. Step two involves experimenting with products to determine which best suit your symptoms. Given the huge social and financial costs of anxiety disorders in the U.S., it’s wonderful to think that CBD has the potential to alleviate sufferers of various anxiety-related disorders. As more human studies are beginning to validate CBD’s efficacy as an anti-anxiety treatment, the outlook is hopeful and full of many more large randomized controlled trials (RCTs) to examine long-term effects. i’ve been taking medicine marijuana for several years for anxiety. Using both long-acting capsules containing Marijuana-Infused Coconut Oil (M-ICO), as well as Vape Marijuana (VM) for short-acting relief. M-ICO – take 1 capsule q.a.m. at 7-8 a.m., 1 capsule q. afternoon at 1-2 p.m. and prn 1 capsule at 6-7 p.m. When i need a more rapid onset medication, in addition to the long-acting M-ICO, I will take a dose VM q.a.m. at 7-8 a.m. also in the morning, for the rapid-onset short-acting response, while waiting for the M-ICO to begin to take effect. The new AG is gonna send all you guys to jail for many years. And CBD has just been added to the DEA’s Schedule 1 narcotics list. You guys are toast. wow, why would such an obvious backward … person even BE on this site? I wonder if IT rants on homosexual sites to … while secretly wanting to do homosexual things? And, of course, just can’t handle IT’S own personal issues so has to stick it’s nose into someone else’s business/rights. Also, it MUST be a republican because those people have to hear their own opinions from someone else. As for the article itself, very good. I have ptsd and i am looking for information on how best to deal with my systems. i’ve been on regular prescription meds for three years now. they have helped but not enough so. i want to try pot and see if it would actually help me. Wow I know how you feel but you are I’m sure feeling worse maybe then I did. I too took myself off of anti anxiety/antidepressants, two types. I used med MJ to detox. It was a HUGE help. I tried without it before and was sooo sick! Like throwing up and lost lots of weight. I was terribly sick! I now use cbd to help and it does! For me a little Thc helps it along. But I have to be careful because I can get anxious for a while if I do to much thc. So a little bit does it! I detoxed myself off 10 prescription and got rid of 4 specialist. I’m now on CBD and waiting on hemp gel caps. If I live through this I could be the poster adult for cannabis. 😃 I tested at 86% AADD last year at 56 yrs. old. I have my list of meds. if interested. Hi I have bouts of anxiety which is becoming more frequent. Would this help? I’m wondering if the CBD oil will help children with anxiety and panic attacks. The prozac does not seem to be working, we keep on adding the mg’s and i’m afraid of the affects of long term usage. Is there anyone out there who can advise me on this matter.